Do you have some special baby news you want to share in a cute way? Why not get your adorable little one to reveal your pregnancy? 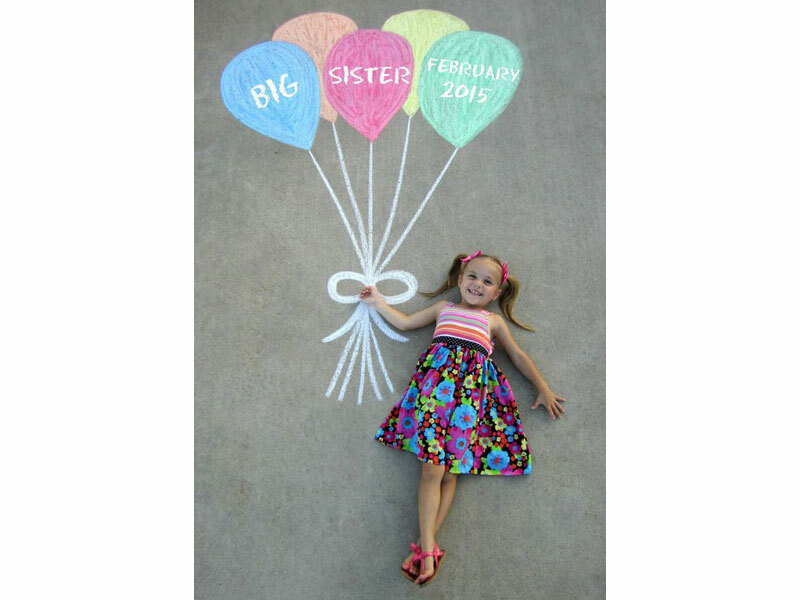 Here are 14 totally gorgeous sibling birth announcements. They are not only easy to copy, but will tell the world that someone special is about to become a big sister or brother! How sweet is this idea? All you need is some chalk and your too-cute child to pose with a bunch of balloons.